These are the top 10 tech creations that shaped our world. They came, they disrupted and they changed our lives - despite their initially high RRPs. You may have lost the connector for it. It may only last for two minutes on a full charge and they might even have stopped making the kind of batteries it takes. But these monumental gadgets will stay with us, thanks to the way they showed us the future before the future was due to arrive and pushed us into the tech world we live in today. Without the Walkman would the concept of portable music have torn through society and embedded itself into our every waking moment? Would you have bounced in to work this morning skipping effortlessly from that Kasabian track you swear someone else must've put on your MP3 player and your own self-curated Girls Aloud hits selection? And would we still be stuck buying physical media from HMV for £15.99 a time if the original Walkman hadn't set us on the path of always accessible, portable music? We'll never know, we can only imagine a depressingly silent alternate time-line where people in a Walkman-less universe still listen sombrely to LPs at home on their static hi-fi systems. A white dirty bomb that tore through the offices of laptop manufacturers the world over. The likes of Sony, Samsung and Toshiba, so happy to charge us £1,500 for their top-of-the-range ultraportables, suddenly had a capable competitor hitting the shops for £220 and blowing their business projections for 2007 to bits. 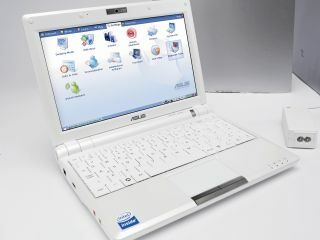 It was positively rude of Asus to disrupt the status quo so aggressively. Simple Linux tools sliced Microsoft's usual commission off the price of an Eee. It also booted in seconds, lasted for hours, could survive being sat on, and made the other laptops of the day - some struggling laughably to run Windows Vista - look like rubbish old dinosaurs. It's effect is still reverberating. Here's a good pub quiz question - what was the world's first MP3 player? That table full of drunk women won't have a clue and will write down "iPod". The group of men taking it very seriously will think it was something from Creative or Rio. In fact, Chinese firm Saehan was first to market a portable MP3 machine, in the form of its MPMan F10 - which packed a tiny 32MB of storage, enough for about eight songs. The iPod wasn't the first MP3 player and first-gen models only worked with the Mac so it certainly wasn't the most versatile, but iPod mania exploded as Apple refined its design, rolled out PC-compatible models and introduced USB support. It also helped that, either by accident or clever marketing, the iPod brand became "cool" giving it the sort of celebrity endorsement sheen Twitter has today. The one reason the world should be glad America exists - GPS. Its global military satellite system was designed to help its soldiers more accurately and precisely kill the soldiers of other countries in the battle for oil and sand, with the fortunate side-effect of helping us lot manage to get from Hemel Hempstead to Brighton without using a map and avoiding the M25. SAT NAV: "Take the second exit and fire the pipe bomb"
GPS is yet more proof that the best toys are invented in the name of war, and a great reason to kick off World War III - imagine how much exciting new tech we'll get to play with once that one's over. If there's anyone left alive to manufacture it. SMS text messaging gave the gift of non-verbal communication to a generation of shy Brits. No longer did awkward 14-year-old boys have to pen lengthy love letters outlining the reasons Sarah Williams should go to the cinema with them on Saturday night - a simple "R U UP 4 IT 2NITE?" text conveyed the same subtle meaning, desire and intent, without any of the pain of having to make eye contact and do some speaking. We are also funnier in texts, thanks to being able to spend more time composing our words. It makes telling the boss you're sick today easier. It's the proof of concept that Twitter is built upon. Simple communication on the cheap that has changed our lives beyond measure.